A campaign group has voiced concern over the future of one of England’s oldest working theatres – criticising the local council for a “lack of transparency”. 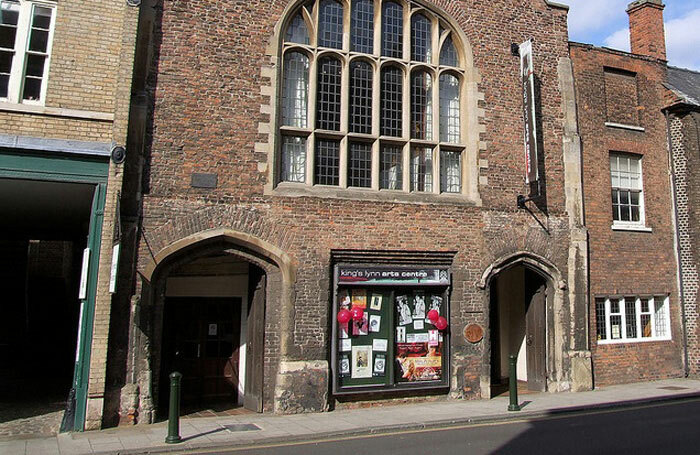 St George’s Guildhall – part of King’s Lynn Arts Centre – in Norfolk is known as England’s oldest and largest surviving medieval guildhall, where theatre has been performed since 1422. The building is owned by the National Trust and leased by the Borough Council of King’s Lynn and West Norfolk. It was previously run on behalf of the council by the King’s Lynn Art Centre Trust, which went bust in 2015 due to financial difficulties. This left the arts venue operating at a much-reduced level as a hall for hire, with the two galleries no longer operational and the usage of the theatre “significantly reduced”. A recent report said the building has been in need of a new roof for more than 10 years and that recent photographs show mould on the interior walls, while the seats in the auditorium are falling apart. A local campaign group called Lynn Arts, Culture and Heritage, which comprises leaders of local arts, heritage and business organisations, is calling on the council to be more transparent about the future of the building, despite the local authority saying it is trying to find a “sustainable solution” for the complex. In 2016, the council made a bid to the Heritage Lottery Fund for funding to refurbish the site, which was rejected due to the plans  lacking coherence across the different parts of the building. The Lynn Arts, Culture and Heritage group is pushing to collaborate with the council to bring the building back into full use as a “viable and vibrant place of artistic endeavour” and develop plans for a future capital redevelopment in partnership with the council. The group’s founder Ivor Rowlands said: “A lot of people are very concerned about the future of the Guildhall, it is showing signs of deterioration and no one is properly running it. Rowlands said he “desperately” wants to work collaboratively with the council, but felt there has been a “lack of transparency and a refusal to have a dialogue”. In a report, he also criticised the National Trust for “not offering their expertise” in finding a solution. A council spokeswoman added that there will “naturally be periods of silence while options are investigated” and there is “no point rushing” the plans. The National Trust did not respond to a request for comment.